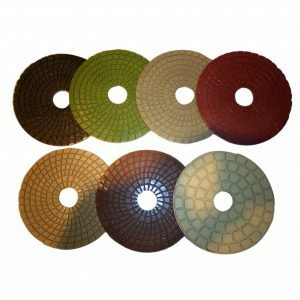 SKU: FeltPad4 Categories: Angle Grinder Tools, Diamond Pads, 2", 4"
4″ Diameter Felt Pad: With hook type backing to attach to our backer pads for angle grinders. When using the felt pad with diamond paste we recommend using latex gloves to work the diamond paste into the pad to charge it prior to the first use. Then add diamond paste as needed. Cautions: Maximum Speed Rating: 3500rpm. 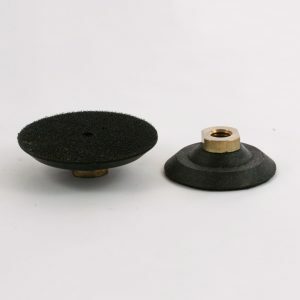 When the hook and loop system starts to wear out the felt pad will no longer be held securely causing it to spin off of the backer pad at a high rate of speed which can be dangerous. 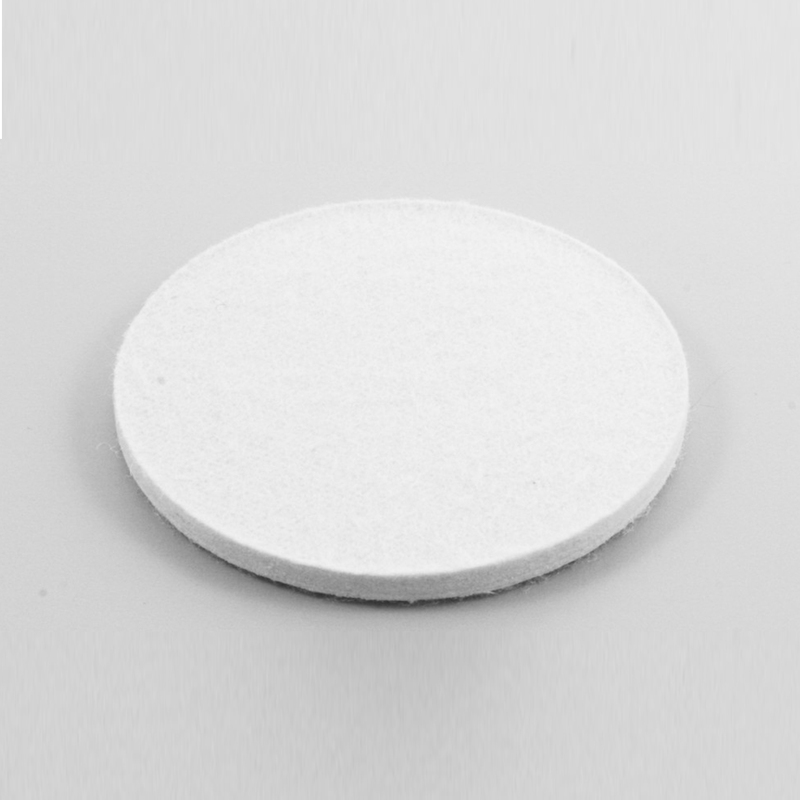 Inspect the felt pad backing and the backer pad and their adhesion together before each use. Always wear safety goggles. 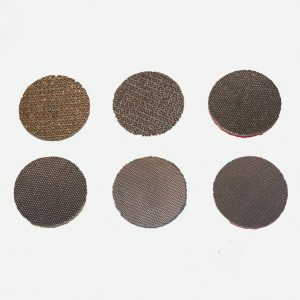 Always wear an appropriate mask so you do not breath in particulates and harmful vapors. Always wear hand and body protection. Failure to adhere to these cautions can result in serious injury or death.